Join this class and learn how to make this 84 1/2" X 84 1/2" quilt with hands-on classroom instruction from the shop's owner. 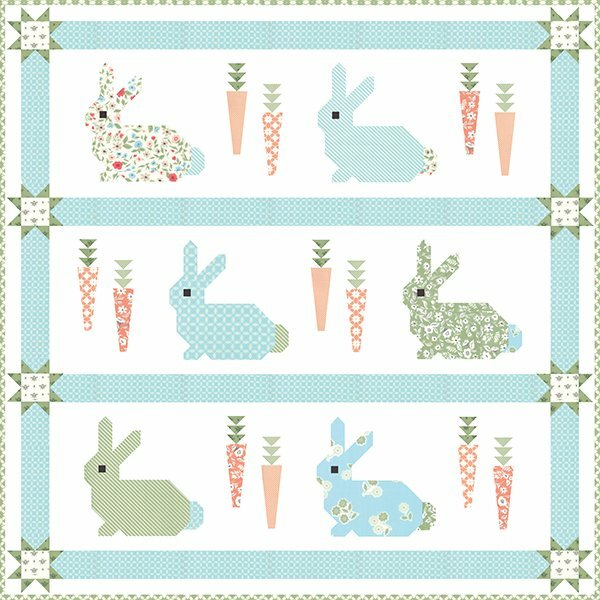 Cottontail quilt kit must be purchased only at The Laughing Ewe for $104.00. The kit contains all the fabric to complete the quilt top from Moda's, Lella Boutique fabric line "Garden Variety." Requirements: Students must bring their own working sewing machine, rotary cutter, rotary cutting ruler, cotton thread, general sewing tools, and Cottontail quilt kit purchased at an additional cost from The Laughing Ewe Quilt shop.